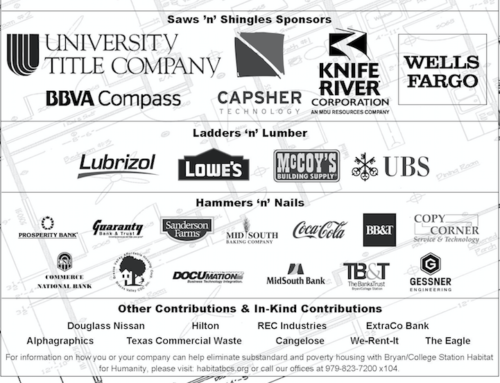 Since 1996, Aggie Habitat, the Texas A&M Campus Chapter of Habitat for Humanity has dedicated it’s time to helping build homes and raise awareness about substandard housing, specifically in the Bryan/College Station area.The Zavala home is the 13th home sponsored by this amazing organization. The walls of this home were raised on Saturday, January 29th with the help of a very large and enthusiastic group of Aggie Habitat members. 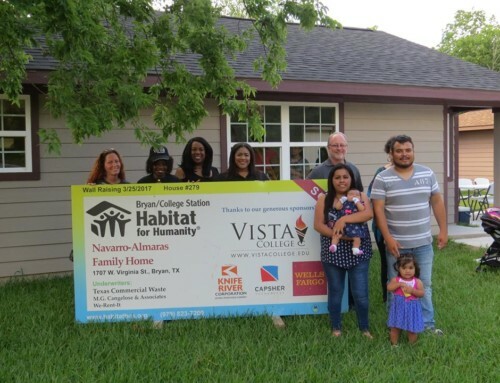 Aggie Habitat supports B/CS Habitat for Humanity by volunteering at construction sites, volunteering at Habitat events, and sponsoring homes for future Habitat families. The organization also holds several fundraisers throughout the year, such as their Pumpkin Patch fundraiser every October and a Shack-A-Thon fundraiser every April. Shack-A-Thon is a week-long event in which Aggie Habitat collaborates with other student organizations that are in support of Habitat’s mission. 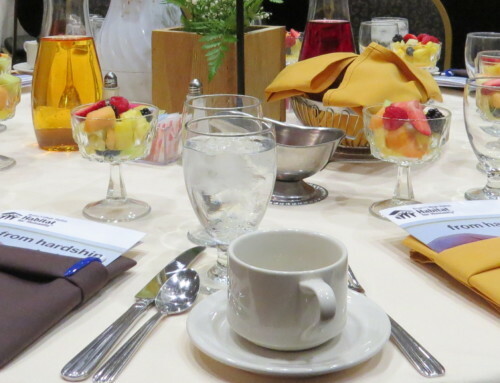 Aggie Habitat auctions off spaces to various organizations at A&M. Each organization then builds their own “shack” and enjoys a week of dinners, bands, and games. The proceeds from these fundraisers go towards Aggie Habitat’s annual house sponsorship.